Good morning, lovely readers… it’s fall! It’s fall, it’s fall, people are back in school and the nights are finally cold again and I’m sure if I lived somewhere with more than two seasons the leaves would be thinking of changing color! That doesn’t really happen here, so I will content myself with pumpkin smoothies for breakfast and setting the table with red and orange placemats. Oh! 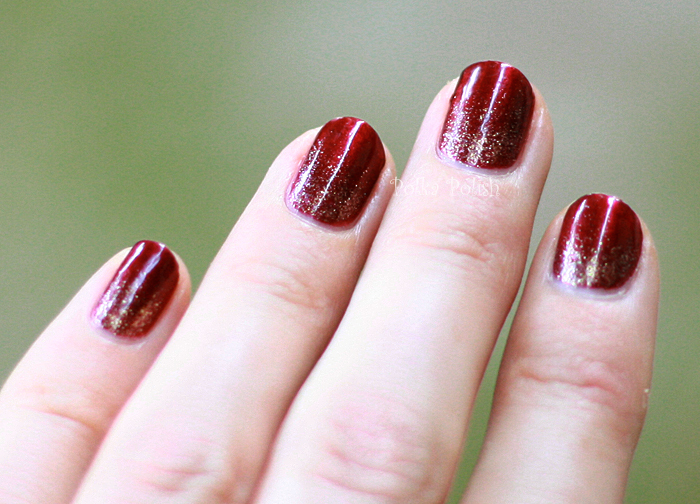 And nail polish in darker colors and warmer hues. My nails ended up quite nubbiny after I got back from Wisconsin… I had several small tears in them that I was unable to patch while I was on vacation, so I cut them all down and am starting over again. On the plus side, short nails make me want to wear bold colors and loud glitters, so I don’t mind them too much. 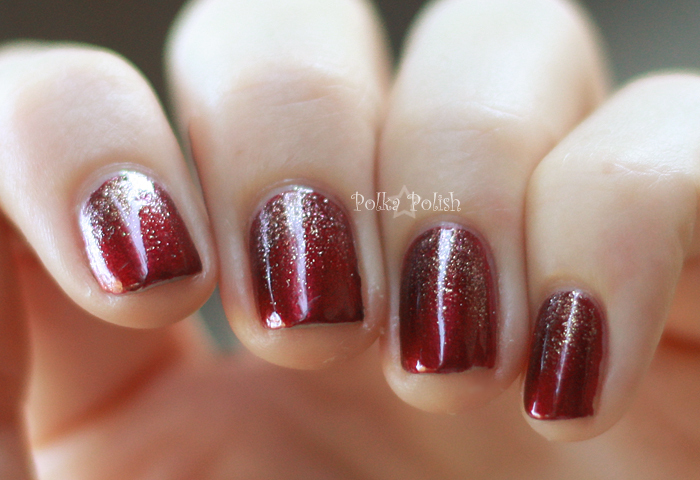 I may have to reprise this look further into the holiday season… I think the subtle gold glitter near the cuticles would be great for a classy Christmas look. For this design, I applied my basecoat and followed it with two thin coats of Sally Hansen Insta-Dri Quick Brick. To make cleanup easier, I took a cosmetic sponge and trimmed the end into a rounded shape narrower than my smallest nail. 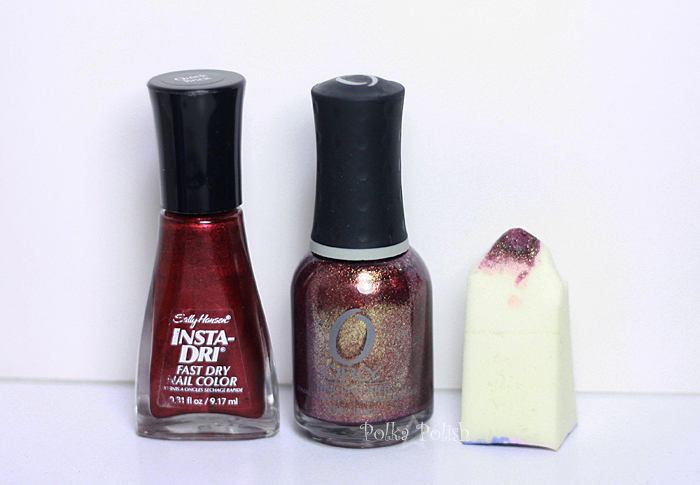 I poured a little puddle of ORLY Rock The World on to a piece of scratch paper (read: junk mail) and used the sponge to dab a little gradient on each nail, heaviest at the cuticle. I finished off the design with a topcoat of NYC Grand Central Station (not pictured).